We want to share our deep love of horses with our customers, and generate the idea that spending time with horses can have a profound impact on our lives. We aim to do this by creating beautiful, functional, life-enhancing jewelry and accessories printed with our exclusive equine art designs. I started horse riding at age 7 and it immediately became my passion. Being around horses also gave me strength when I lost my father at age 9. By 13, I had my own horse and she truly became my best friend. My second horse, Ilhouat (who can be seen on the pic with me ) came into my life 18 years ago. He has helped me through many difficulties with my health. Horses evoke so many powerful emotions, the most relatable being love.They are a force of nature, headstrong, and free-spirited - qualities which can inspire us all as we ride life's trails. Twice, my horses have saved my life, by giving me unconditional love, a soul connection, boundless joy, and a reason to hope. Just their presence makes life more wonderful. My passion for horses and desire to honor them led me to start up Equestrihome. Their beauty and mysterious power are showcased through equine-art-themed horse jewelry, horse gifts, and accessories. So go browse the collections and you're sure to discover the design that perfectly encapsulates how horses make you feel! 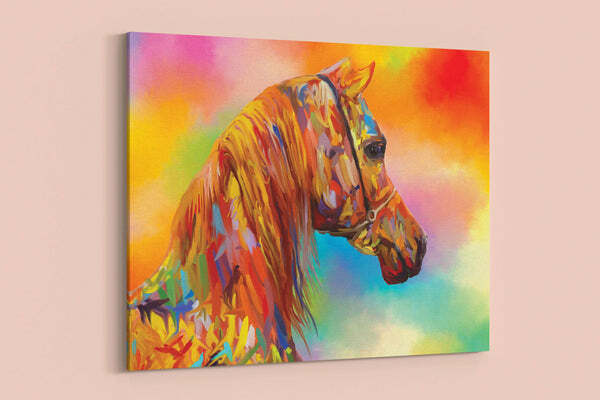 Equestrihome aspires to give horse lovers a creative way to express their passion. Through our equine-art-themed jewelry and accessories, we will connect with people who adore horses, love to ride, or simply feel inspired by these beautiful animals. Through the sale of our products, we will support communities and charitable organizations while spreading the joy that horses bring. The story behind Equestrihome began many years ago, but it is only now that we have discovered the perfect way to tell it. Our jewelry and accessories allow you to showcase your passion for horses. They can be kept close all day, becoming a sort of animal totem or lucky charm. They look unique and help you stand out from the pack. And they make beautiful gifts for fellow horse lovers too. Based in France, Equestrihome champions diversity, working with designers and manufacturers from across the globe. Our high-quality pieces are carefully created and then printed with our original designs. All our designs are exclusive to our brand, produced to immortalize the beauty, mystery, power, and mysticism of horses. The love that horses inspire is a core part of our brand values. We believe in supporting communities; in the US, the jewels in our collection are made by working moms. We support charity organizations too, donating a portion of our sales to Equitherapy (horse therapy) associations that use horses to help children with disabilities. And customer satisfaction is also incredibly important to us. So take a look at our online store to discover the design that inspires you! Then join us on Instagram to connect with a likeminded horse-loving community!